As a practice, Jade Integrated Health is always looking for new ideas to improve our patient care and have a positive impact on our community's quality of life. Since we are passionate about women's prenatal and postpartum care, we are excited to offer in-home care to new mothers. In those first few weeks of motherhood, it can be difficult to get out to access care. Additionally, most women have postpartum questions or issues that linger while they await their 6 week follow up with their OB/GYN or midwife. 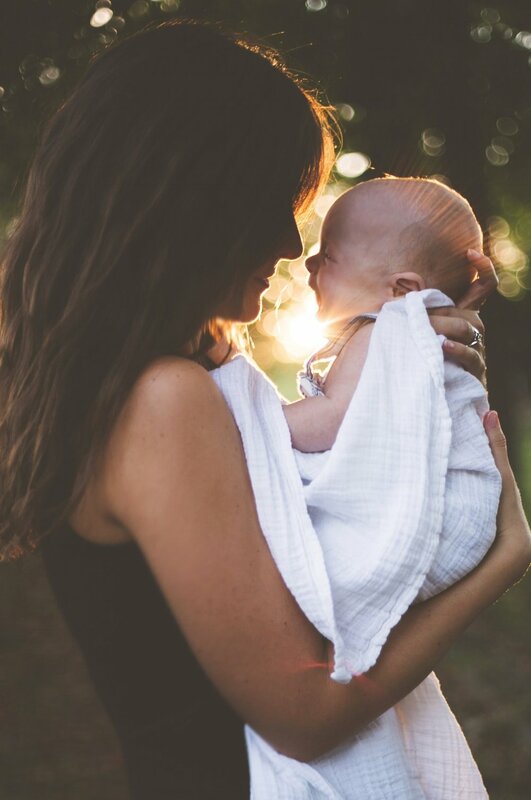 Our solution: meet women in their home anytime between 1-5 weeks postpartum to evaluate, educate and, if necessary, treat any outstanding issues. Can empower women with at-home tools to speed up recovery after labor and delivery or C-section. After filling out a brief health history form, your physical therapist will spend time with you learning about your birth details and recovery thus far. You will be evaluated for any pelvic misalignment, hip or low back dysfunction, diastasis recti, pain and postural strain. Internal pelvic exams will not be performed. You will receive written educational materials of what is discussed to support your recovery. (We know visual reminders to the sleep deprived are important!). If further treatment is required, follow up appointments will be scheduled. Our home visit physical therapist! Nancy has been a practicing physical therapist for over 20 years. She has worked in multiple settings across the country including a neonatal intensive care unit, hospitals, home health care, out patient rehabilitation, skilled rehabilitation, and nursing homes before opening Jade with her husband, John. Nancy has developed a strong interest and advanced clinical skills in the area of women¹s health, specifically pregnancy, postpartum and pelvic floor rehabilitation. She feels that education around health and wellness is important to ensure success. Your OB/GYN or midwife can fax us a referral, or you can call us directly and we can request a referral for you. Once a referral arrives we call to confirm your information, than our physical therapist contacts you directly to schedule an in-home evaluation.